“By God’s gift through water and the Holy Spirit we are reborn to everlasting life. In his goodness, may he continue to pour out his blessings upon these sons and daughters of his. May he make them always, wherever they may be, faithful members of his holy people. May he send his peace upon all who are gathered here, in Christ Jesus our Lord." ​It is HIGHLY RECOMMENDED that you call the office for the Requirements that you will need to bring into the office when you register. Baptisms are held the first Saturday of the month in English, second Saturday in Spanish. We require the Parents and Godparents attend the baptismal preparation class here at St. Stephen. This allows everyone to know where and how the baptism is to take place. 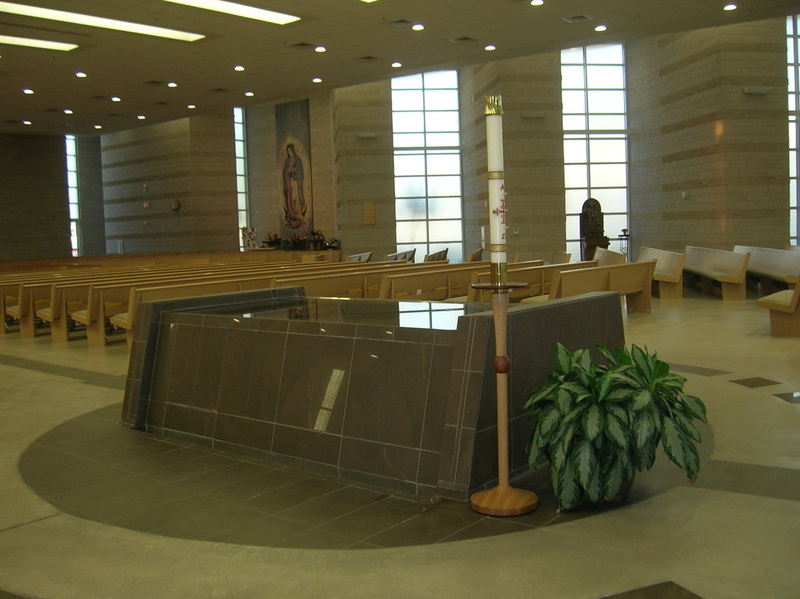 Classes can be taken at another parish, but at least one person must take the class here. We will not accept classes from Mexico. Child – original birth certificate from a county court house (NO COPIES). Godparent(s) – original baptism, first communion, confirmation certificates. If married, marriage certificate (NO COPIES). If the godparent is married (to each other or someone else), he or she needs to be married by the Catholic Church. A godparent who has been married in the Catholic Church and later divorced, but never remarried or living with a partner may be a godparent. If the godparents are single, they cannot be living with a partner. Only one godparent is required. If two will participate, they must be male and a female, (not 2 males or 2 females) NO EXCEPTIONS. A letter of permission is needed for the parents & godparents baptizing here at St. Stephen who reside or belong to another parish or are coming from out of town. Those who have already taken a baptismal preparation class still need to present their proper documents as well as their class certificate at time of registration. There is a $35.00 fee for the Baptism ceremony (which also includes the baptismal preparation class for the parents & godparents).